Thus far, my lousy excuse for a planted tank has been most useful in calming her down when she's feeling fussy. 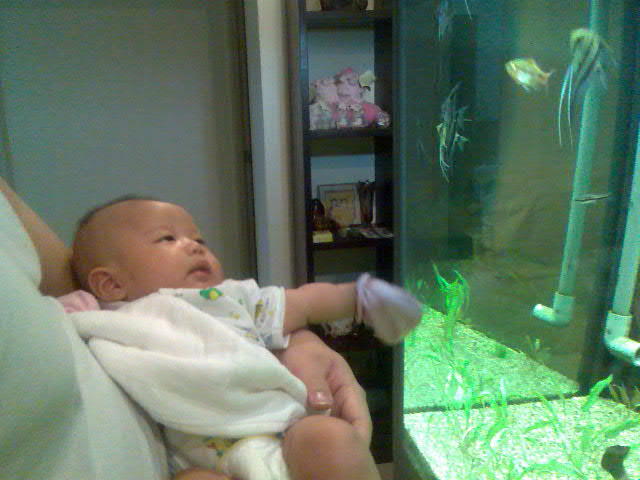 Maybe she will become member of AQ in.. say 18 years? 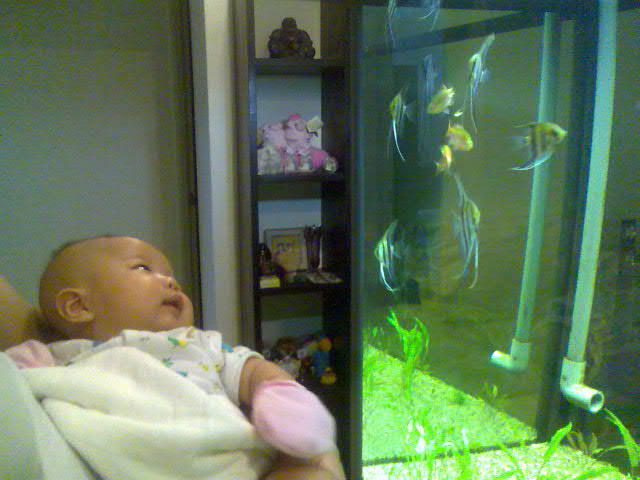 jus my tots..put her upright with her back resting on yr body to look at the tank then to let her slant her eyes to see the tank.. Cute she is! The second pic looks like she's pleased with what she saw. Agree with you about the slanted eyes thing, carried her that way so that the photo could be taken. anyway congrats you being a father too.